With a rare combination of size and good body control, Michael Crabtree is arguably one of the top wide receiver options in the NFL. A veteran receiver and a model of consistency, Crabtree has proven to be productive throughout his career. The very skilled and experienced option in the passing game has commanded lucrative multi-year deals in American football. Read on to discover more interesting facts about the Baltimore Ravens wide receiver and how he has embodied the sport so far. The top-level Texan receiver was born Michael Alex Crabtree Jr, on 14th September 1987, to Michael and Bessie Crabtree. A naturally gifted sportsman, Michael’s athletic skills were evident from a young age. Crabtree did not exactly have a smooth childhood as his parents separated when he was only six years old. Consequently, he was raised in Dallas by his father, with whom he shares a very close bond. Crabtree played different sports including football, basketball, and track while he was a student at David W. Carter High School. He played quarterback in his school’s football team and also participated actively in the basketball team. Despite his versatile skills, Crabtree eventually chose to focus on football in college. Even before college, Crabtree was already renowned for his prowess on the field. Consequently, he received a plethora of football scholarship offers from different schools such as Kansas and Texas Tech, Iowa, Oklahoma, Illinois, Texas A&M, Kansas State, and Baylor. From the numerous offers, Michael Crabtree eventually chose to attend Texas Tech University on an athletic scholarship. A 4star football player, he was ranked among the country’s top 30 athletes and players from the state of Texas. More so, while in college, he was unanimously named All-American and was also a two-time recipient of the Fred Biletnikoff Award. Crabtree’s golden opportunity came in 2009 when he was drafted into the NFL in the first round as the 10th overall pick by the San Francisco (SF) 49ers. As expected, he showcased his impressive skills with the team and soon became their top wide receiver. Crabtree led his team to the 2013 Super Bowl, though they lost to the Baltimore Ravens. In 2015, he signed a $3.2 million one-year contract deal with the Oakland Raiders. The contract was eventually extended to a $35 million four-year-deal. Between 2015-2017, Crabtree recorded 232 receptions for 2,543 yards and 25 touchdowns. 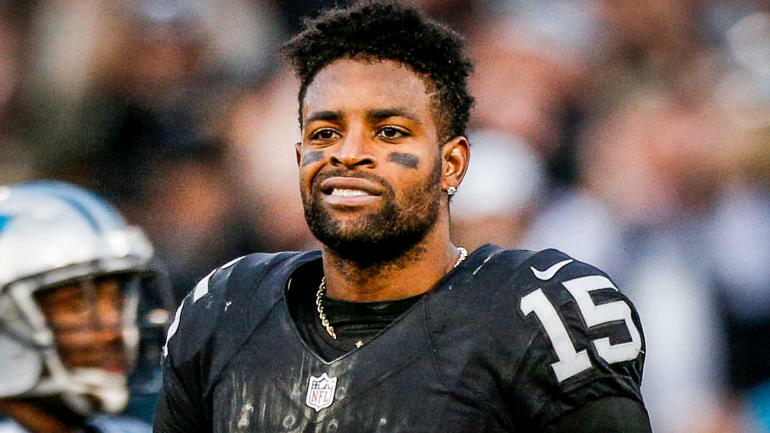 In March 2018, the Raiders cut Michael Crabtree and cleared him off the books. But that only gave him an opportunity for a fresh start as the Baltimore Ravens quickly signed him a day after his release from the Raiders. The veteran free-agent wide receiver will be getting a good paycheck with the Ravens. His three-year $21 million deal with the team also includes $11 million in guaranteed money. With the new deal, it is hoped that Crabtree who has plenty of gas left in the tank, lives up to the expectations set by his contract on the field. Like many stars, Crabtree’s success has not been without bumps and challenges. In the course of his career right from his college heydays, he has dealt with a series of injuries, some minor and others which nearly crippled his career. Some of the injuries he has suffered over the years range from ankle/foot sprain, calf/knee strain, pedal foot fracture, a scary neck strain, an Achilles’ tendon tear which led to a surgery, a sore hamstring and a bruised lung, among others. As expected, some of these injuries cost him days or even weeks off the field. But being one of his team’s best receivers, Crabtree has proven that he is a model of consistency by bouncing back in form and making up for his lackluster days and shortcomings. Since he was drafted into the NFL, Crabtree has been a stunner on the field reeling out steady production. However, after an exceptional breakout season, Crabtree’s production has seemingly dwindled over the years as he appears to be struggling to rejuvenate his glory days. Going by the records, it is undoubtedly believed that his best performance so far was during his college years. 1. A very competitive wide receiver and a consistent threat on the field, Crabtree towers at a height of 6 feet 1 inch and weighs 97 kg. 2. Crabtree has a net worth of $16 million dollars. While most of his income is from his NFL career, he also has lucrative deals with top brands such as Subway restaurants, Nike’s Air Jordan, Ubisoft, and EA Sports, among others. 3. Given his remarkable feats in the industry, Crabtree has been honored with several accolades. Besides his numerous prestigious awards, his alma mater Texas Tech University also has a structural artwork in its Jones AT&T Stadium in honor of the NFL star.